One of the most common questions I get on the blog is "What do you do with all the scraps? Isn't it wasteful?" Not if you use them! Mostly, I save bits of meats and cheese for chef salads, assuming no one is noshing on them while I'm making lunches. The rest of the fruit or veggies goes into containers and is eaten during non-photographed meals. 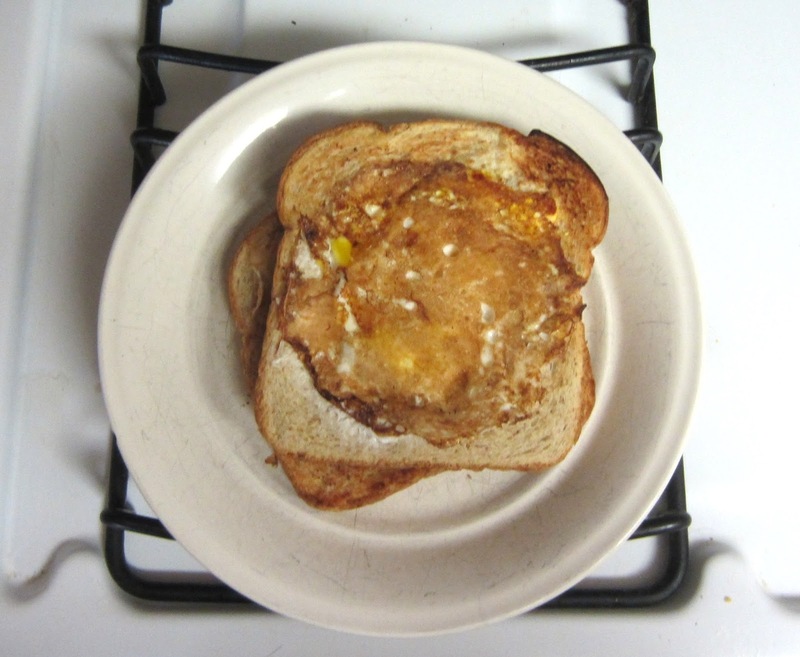 Lately though, I've been trying to make the best use of the bread scraps when I make cute sandwiches, so that means egg in a hole! Rather than trying to maximize the sandwich to bread ratio, I have been cutting the sandwiches from the center, then saving the outside frame back in the bread bag. Once I have a few of them, F&B have egg in a hole for breakfast! It's easy too, just butter or oil your pan (I'm using my wok because it was on the stove the morning I took these). Place the bread in the pan and crack an egg in the middle cutout. Let it cook for a couple of minute, until the bottom part of the egg sets. Then, flip it over, cook the other side till the yolk is set to your specifications (my kids like the yolk set, the husband likes it runny), take it from the pan, and serve! No fuss, no muss, and no waste! 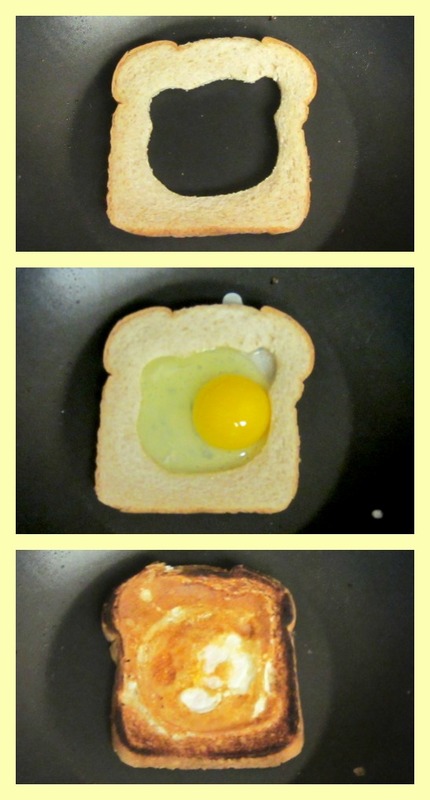 Great idea for using up the leftover bread! Thanks for sharing it.